Anna Greene was never supposed to meet Bennett Cooper. Why would she? She’s a sixteen-year-old in 1995 with big dreams of traveling the world after high school. Bennett is a seventeen-year-old in 2012, living in San Francisco and figuring out how to manage a gift that allows him to travel through time and space-an extraordinary talent that has its perks, but also drives a rift between him and those he loves. When a minor lapse in judgment turns into a life-changing incident, Bennett finds himself in Anna’s world. They can’t help but fall in love, even though they might bedooming themselves to heartbreak. After all, no matter how much Bennett wants to stay in 1995, they both know that time will inevitably knock him right back where he belongs. With the clock ticking on their time together, Bennett transports Anna around the globe to places she’s only dreamt of seeing. They both know the rules: while there’s no harm in traveling to idyllic beaches and exotic cities in 1995, if Bennett takes Anna into the future there ncould be bad circumstances. I love time travel. The Time Traveler’s wife is one of my favorite books and movies and I’m a big Doctor Who fan. That said, I was curious when I saw all the promo for the second book to this series, Time After Time. 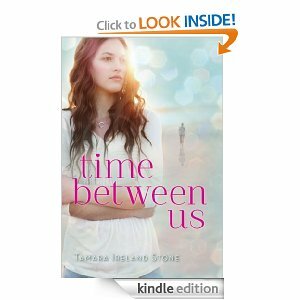 I kept putting off getting Time Between Us until it was on sale for around $3 on Kindle. When I finally started it a couple days ago I couldn’t put it down. Anna realizes that there is a chance that she could lose her time traveling Bennett, but she still decides to take a chance on him. She has led a dull life and wants to travel- what better way than to spend time with a time traveling boy from 17 years in the future. The idea is slightly strange since Anna is technically 16 years older than Bennett, but it is still sweet and works out. I found that the most interesting thing in the story was how the author worked out Bennett’s self-made time travel rules. Obviously, he has just picked up the rules as he goes along, but he is serious about following them. It makes for some interesting twists in both their relationship and the lives of the people around them. Great read for anyone who loves time travel stories or just wants a good, clean love story. I recently tried reading a few other popular books in hopes that they would be good since they were popular. Nothing really caught my attention until I learned about Cinder. The idea of a futuristic version of Cinderella that involved a queen from the moon trying to take over seemed odd, but I decided to give it a shot. Little did I know that I would read the entire novel in one sitting. Cinder is tough and never gives up even though she is faced with a pile of obstacles in life. Prince Kai is trying to be a good prince, but he can’t quite seem to do what he needs to. When I finished the novel, and Cinder was then on the run, I was lost. I knew that the second book was already out, but I knew that reading it would just make the wait for the third novel that much longer. I tried to wait and not read Scarlet right away, but the excitement level in Scarlet was too much to keep me away from knowing what would happen next. Though I tried, I then had to read Scarlet, but it only upped the excitement level and is making the wait for book three harder. I highly recommend this series, but make sure that you go ahead and buy both books so that you don’t have to wait.